WASHINGTON – U.S. Senator John Boozman (R-AR) is pushing for increased access to broadband in rural and underserved areas. Boozman helped launch the Senate Broadband Caucus today, one day after pressing the Federal Communications Commission (FCC) to close the rural broadband gap. The economic benefits of broadband infrastructure are clear. For every $5 billion invested in broadband infrastructure, 250,000 jobs are created and with every percentage point increase in new broadband distribution, employment expands by 300,000 jobs. Yet, high speed internet is a luxury for most Arkansans. According to the FCC, 84 percent of rural Arkansas lacks access to broadband, which is more than 30 percentage points higher than the national average. “Connectivity is the vital infrastructure for the modern age. Broadband is an important economic tool and we must provide all Arkansans with this 21st century building block. Linking Arkansans to the internet is a critical to economic driver and especially important to education, healthcare and agriculture. 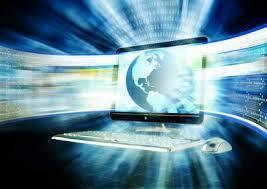 Investing in broadband expansion will strengthen our economy,” Boozman, a leader of the Senate Broadband Caucus, said. Boozman joins Senators Shelley Moore Capito (R-WV), Angus King (I-ME), Amy Klobuchar (D-MN) and Heidi Heitkamp (D-ND) as leaders of the Senate Broadband Caucus. The caucus will focus on strengthening broadband infrastructure and deployment across the country. In addition to addressing broadband challenges facing Americans, the caucus will promote bipartisan discussions about ways to increase connectivity and close the digital divide, especially in rural America. To accomplish these goals, the caucus will engage with a broad range of industries and other stakeholders. On Monday, Boozman joined efforts urging the FCC to update the Universal Service Fund’s (USF) Mobility Fund, which is aimed at providing broadband service to rural and underserved areas. In the letter to FCC Chairman Tom Wheeler, senators called for the agency to prioritize new mobile broadband deployment in rural areas as well as preserve and upgrade mobile broadband where it is currently available. “More than ever before, U.S. farmers and ranchers are demanding reliable, high-speed mobile broadband services. Mobility is essential for new precision agriculture technologies to deliver productivity gains and environmental sustainability. These technologies are transforming U.S. agriculture as American farmers and ranchers seek to feed, fuel, and clothe an ever-increasing global population using limited land, water, and other resources,” the senators wrote. 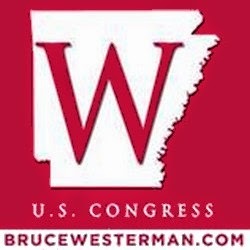 Tags: Senator John Boozman, Leads Effort, FCC, strengthen Broadband, Arkansas, Internet To share or post to your site, click on "Post Link". This site is an Outreach of the ARRA News Service.